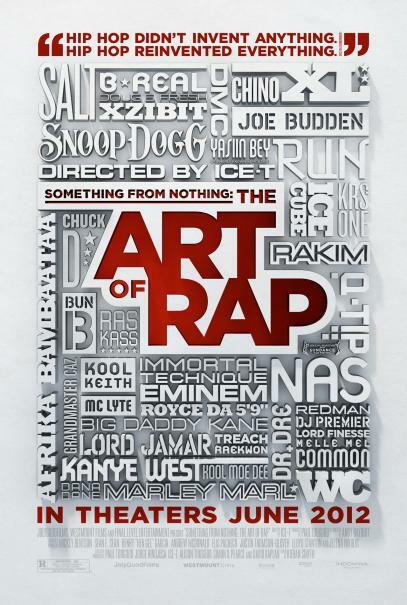 "Hip-hop didn't invent anything… Hip-Hop reinvented everything." – Grandmaster Caz Visually luscious and drenched with the big beats of classic cuts and freestyle rhyming by some of the masters of the music, "Something From Nothing: The Art of Rap" is a performance documentary about the runaway juggernaut that is Hip-Hop. At the wheel of this unstoppable beast is Ice-T, who takes us on a personal journey into the asphalt roots of the music that saved his life. 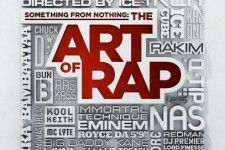 This film is not about stardom, bling, or beef; it's about craft and skill—what goes on inside the minds and erupts from the lips of rap legends. Ice-T travels from coast to coast, engaging intimately with the likes of Afrika Bambaataa, Eminem, Nas, Mos Def, Kanye West, Chuck D, KRS-One, Snoop Dogg, Run-DMC, and Ice Cube. The film features original rapping and some classic never heard before a cappellas from the mouths of the creators. What emerges is a mighty soul tribute to the original American art form that brought poetry to a new generation.